Based on my passion for writing, I have met many interesting people who have expressed some pretty forward-thinking ideas and concepts. One woman, in particular, focused on how you can overcome cancer by changing your lifestyle — something which she successfully did. Until I met her, I viewed a lemon as just a lemon. It was a fruit that I used to make salad dressings and flavor my water. Now, of course, I know that it is much more than that, as it has been shown to promote positive health — both inside and out. Whether you’re sprinkling lemon zest or squeezing lemon juice, this citrus fruit offers potent health benefits, as well as some added uses around the house. We always have a hefty supply of lemons on hand and you should too — here’s why. Lemon juice can be applied topically for a wide range of ailments, including acne outbreaks. Offering a natural astringent agent, this antibacterial fruit will help remove dead skin cells and cleanse clogged pores. Not only will it disinfect and exfoliate, but lemon juice can also naturally lighten your skin, reducing the appearance of acne scars. To apply lemon juice to your skin, start by washing your face with warm water and an all-natural soap. To open your pores, hold a warm towel on your face for one to two minutes. After squeezing a tablespoon of lemon juice into a bowl, apply to affected areas and leave on for at least 30 minutes before rinsing. For anyone that suffers from arthritis or fibromyalgia, you know that the associated aches and pains can be a lot day in and day out. If you’re someone who suffers from acidosis, you’re experiencing increased acidity in the blood, as well as other body tissues. When this happens, you essentially suffer from a pH imbalance. To remedy this issue, you’ll want to focus on making your body more alkaline. Luckily, lemon can assist you. Each morning, get into the habit of drinking warm water containing half of a squeezed lemon. Just remember, although this is a great start, in order to truly improve, you’ll need to change your entire diet. Consume more alkaline-forming foods, avoiding processed and fried options. With all the chemicals and toxins we’re exposed to these days, it’s important to regularly flush your body. The “lemon cleanse” was a bit of a fad, as eating nothing and drinking only lemon water isn’t the best idea. With that being said, when you drink lemon water each and every day, you’re going to benefit your gastrointestinal tract. Based on the structure of lemon juice, it is similar to digestive juices. When ingested, it encourages the liver to produce more bile and, in turn, digestion improves. Lemon water supports the stimulation of key enzyme functions and helps flush out nasty toxins. Of course, lemon water will just be one component of a full body detox, as you need to focus on other aspects of your diet. A few other key tips are: drink more green tea, purchase organic whenever possible, exercise more often, consume more natural fiber and make a detoxifying smoothie each day. Whether you have an infection or suffer from asthma, lemons will support respiratory health. In fact, when suffering from a chest cold or allergies, many individuals will cut fresh lemons and leave them beside their bed, helping them breathe overnight. I have never tried it myself, but many swear by it. You could also use lemon essential oil. When the lungs become inflamed, air pathways become constricted, making breathing more difficult. Limonene, a molecule found in lemons, has been shown to help inflamed lungs. Within one study, published in Bioorganic and Medicinal Chemistry, inhaling lemons was shown to reduce symptoms of asthma and overall inflammation. You may be thinking, wash fruits and vegetables with lemon juice? Well, that doesn’t sound quite right. Although produce may look clean and shiny after you purchase it from the store, more than likely there are some hidden pesticides coating the outside of your fruit and vegetables. To make your own DIY produce wash, all you’ll need is lemon juice, water and baking soda. The easiest way to make this wash is to combine ingredients in a spray bottle, spritz your produce, allow to sit for 10 to 15 minutes, then rinse. This is especially important if you’re not purchasing organic fruit and vegetables. Lemon juice is a powerful antibacterial agent. In terms of urinary tract infections, a condition that affects one in five women during their lifetime, lemons can help prevent UTIs by flushing the bladder, expelling potentially infectious bacteria. As stated in a study, published in the International Journal of Innovation and Applied Studies, the combination of green tea and lemon are highly effective when aiming to treat UTIs. 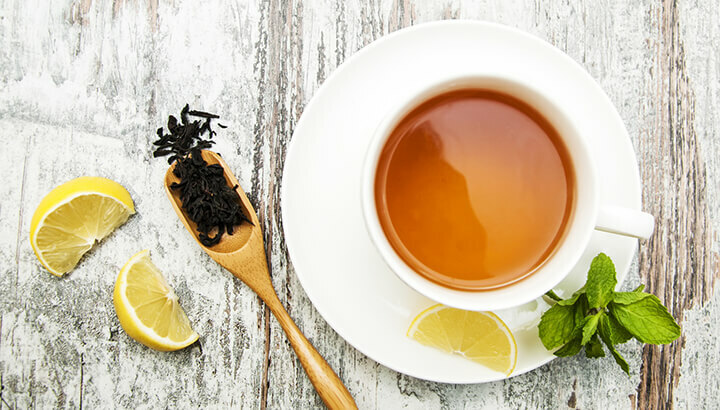 While focusing on lemons, researchers reported that this fruit enables more of green tea’s unique antioxidant properties as well. Many do not know that their oral health plays a role in their overall well-being. When you suffer from gum disease, for instance, you will experience inflammation of the gums. As plaque builds, if left untreated, the bacteria can influence other areas of your body, such as your heart and lungs. In order to combat gingivitis, create a natural mouthwash by mixing water with lemon juice. The lemon will help kill bacteria while the acid encourages the breakdown of plaque. Experts recommend that you implement this remedy after you brush your teeth, as your natural toothpaste will help protect tooth enamel, allowing the lemon to strengthen your gums. I’m one of those people that pick up spiders and brings them outside. Not everyone is as keen on insects, though. And unfortunately, there is a wide range of toxic products on the market known as insecticides. If you’d like to protect your skin or home, why not make a natural solution? If you find that ants are infesting your home, squeeze a few drops of lemon juice in problematic areas — works like a charm! The same is true for insects like mosquitos and fleas. You can either create a flea spray or soak your pet in a lemon-infused solution. Simply boil a couple of cut lemons for a few minutes, then allow them to steep overnight. Sponge bath your furry friend and voila — it’s an all-natural flea repellent. Apple cider vinegar is also a highly effective solution. To enhance its insecticide properties, combine vinegar with lemon, eucalyptus and citronella essential oil. Considering 75 percent of American women color their hair, it’s critical to note that conventional hair dyes contain toxic compounds, including carcinogenic substances. 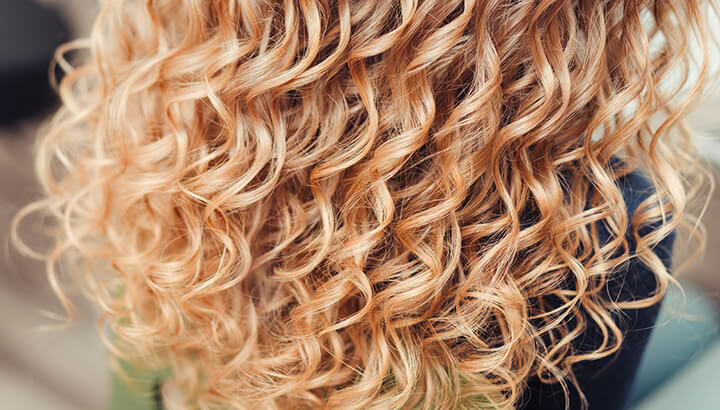 Don’t allow the natural color of your hair to affect your confidence — you’re beautiful as you are. But if you’d like to naturally lighten your hair, lemon will do the trick. Lemon acts as a bleaching agent. As the sun’s UV rays interact with the acid in lemon juice, your hair goes through acid oxidation, resulting in a lighter shade. 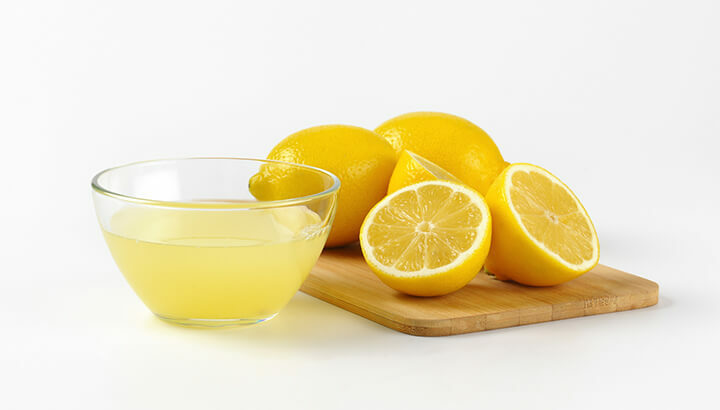 As an added benefit, when lemon juice is applied directly to the scalp, it has been shown to treat dandruff and other issues related to the hair and scalp. We use our hands all day, every day, resulting in slightly stained nails. This is especially true if you often use dark nail polishes. If you’re looking to brighten up your nails, lemons will do most of the heavy lifting. Full of alpha-hydroxy acid, lemons have the ability to lighten and brighten your nail fibers. To try this at home, all you’ll need is a lemon and some warm water. Combine the juice from half of a lemon with one cup of warm water. Dip your fingertips into the solution for five to 10 minutes. If you’d like to strengthen your nails, you can also make a lemon juice and olive oil treatment. Once again, soak for 10 to 15 minutes before rinsing. Moving away from your health for a quick moment, let’s focus on how you can freshen up your cutting board. After regular use, cutting boards can get kind of yucky, especially if they’re wood. In order to maintain the look of your board while protecting yourself against a buildup of bacteria, test out the ol’ salt and lemon trick. Not only will this remedy clean your cutting board, but it will also deodorize it. All you’ll need is one lemon peel (I often use one that’s already been juiced after making a vinaigrette) and some coarse sea salt. After you apply salt, scrub with the lemon peel, then use a clean cloth to wipe clean. Being a painter myself, nothing is more annoying than a brush you forgot to clean, especially if it’s a good one. Although you can wash them, in many cases, they’re just not the same after that. Instead of rubbing the bristles to aggressively, give them a little lemon bath. Cut up a couple of lemons and place them in a pot of water. Bring the solution to a boil and set your paintbrush into the pot, simmering for around 15 minutes. The lemon juice will help break down the buildup of paint, ensuring that your brushes do not go to waste. Unlike humans, scents such as citrus and aloe are aversive smells. If possible, cats will avoid them. This makes sense, as cats have approximately 200 million odor-sensitive cells in their nostrils, unlike humans, who have five million. 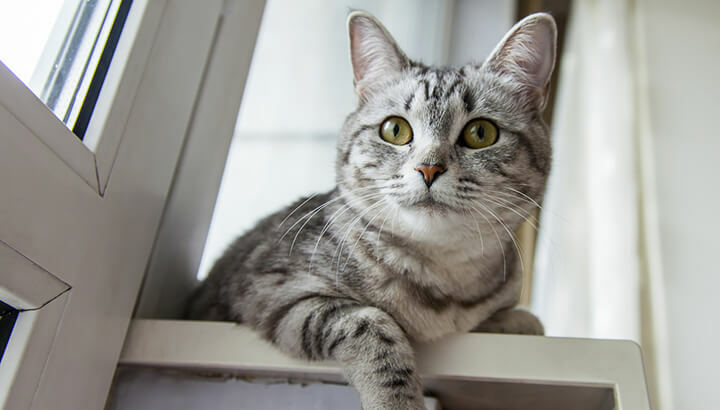 Although your family cat is probably more than welcome throughout your home, there may be select areas that you’d like to set as off-limits. A classic example is the Christmas tree — any cat owners know how that can turn out. Simply combine lemon juice with water, filling up a spray bottle. Now, spray surfaces and areas that you’d like your cat to avoid, including table tops, the kitchen counter, furniture or any other area within your home. This list is just the beginning. Lemons truly are an incredible fruit that can help you improve all aspects of your life. When you focus on living a more natural, non-toxic life, lemons will be your right-hand man. Next articleIs Your Mattress Harming Your Health? Hey Buddy!, I found this information for you: "13 Lemon Remedies That Work". Here is the website link: https://www.thealternativedaily.com/lemon-remedies/. Thank you.